The source of many radiant and prominent rivers, the Indian Himalaya is among the few ranges around the globe offering a plethora of glaciers. Many of these glaciers involve trekking trails that evoke utter jubilation in adventure enthusiasts and nature lovers. In the present scenario, it won’t be off beam to say that touring these exquisite Himalayan glaciers is all about relishing the best travel experience tied with ideal amount of adventure activities. 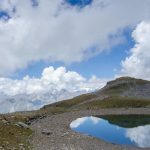 Especially, the glacial treks of Uttarakhand encompassing Garhwal and Kumaon Trekking Trails are highly preferred by the trekking aficionados. Here are some of the major trekking trails in Garhwal and Kumaon that are ideal for savoring a blend of thrill and delight. Garhwal Himalaya is home to some of the most astonishing glaciers that are sources of some of the perennial rivers such as Ganga, Alaknanda, Bhagirathi, Yamuna, Tons, etc. These glaciers are so mesmerizing and tranquil that they are frequented by hordes of nature admirer and adventure enthusiasts all round the year. These glaciers incorporate exciting trail that spellbinds the trekkers and thus offer a perfect option for adventure holidays in the lap of nature. Here are the glaciers of Garhwal that beckons trekking freaks to explore the nature’s opulence at its best. This exquisite glacier is positioned in Uttarkashi District, Uttarakhand. Gomukh (Cow Mouth) is the primary source of the Ganga River. Trekking along the Gangotri Glacier takes the trekkers to Gomukh. The enthralling trek here involves mountain climbing, glacier tour and rock climbing as well. Situated in Garhwal Himalayas, Bagini Glacier is a popular trekking point among the trekking freaks. The glacier offers imposing vistas of the snow covered Dunagiri Summit. Almost all of the elements of beauty possessed by Garhwal Region are covered in this trek. This moderate trail is so serene and beautiful that it deeply rejuvenates the senses of trekkers. It is a medium sized glacier positioned in Uttarkashi District. Dokriani is a significant glacier of Garhwal and feeds the river Bhagirathi. This mesmerizing glacier terminates at an elevation of about 3800 meters above sea level. The trek to Dokriani Glacier passes through the wonderful areas like Bukki Village, Tela Camp and encourages the tourists to visit Gujjar Huts as well. A 12 kilometers long Glacier, Bandarpunch Glacier is located on the northern gradients of Bandarpunch Peak, Khatling Peak and Bandar West. The glacier later joins the Yamuna River. The trek to Bandarpunch starts from Taluka and offers enchanting beauty of verdant woods and fascinating views of high Himalayan Peaks. Khatling is a lateral glacier positioned in Tehri District. It is the source of the Bhilangana River. Khatling Glacier is encircled by peaks like Meru, Barte Kauter, Sphetic Pristwar and the peaks of Jogin Group. The trek to Khatling Glacier begins from Ghuttu; and can be easily reached through places like Dehradun, Rishikesh, Mussoorie and Tehri. 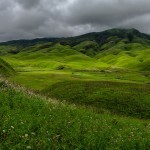 The trek takes travelers through the remote villages covered with verdant woods and immense lush grassy meadows. The Chorabari Bamak Glacier lies close to Kedarnath, one of the Chardhams in Uttarakhand. The glacier has two snouts, one of which is the source of the Mandakini River. The glacier is spread over 15 square kilometers of area. There is a trek involved in reaching this glacier and thus, it is frequented by nature admirers and adventure freaks. One of the most prominent glaciers of Dhauliganga System of Glaciers, Doonagiri Glacier is certainly a trekker’s delight. The glacier can be approached from Juma on the way to Joshimath Malari Road. To reach the glacier’s snout, there is a 12 kilometers long trek running along the Doonagiri Stream from Doonagiri Village. A 6 kilometers long glacier of Bhyundar Ganga basin in the Alaknanda catchment, Tipra Bamak Glacier is covered by thick deposit of Debris. This glacier can be approached through the enthralling trek carried out from Govid Ghat. From Govind Ghat, one can extend the trek to enticing Valley of Flowers as well. Positioned 17 kilometers away from Badrinath, Satopanth and Bhagirathi Kharak Glaciers lie in Chamoli District of Uttarakhand. The trek to the glaciers begins from Mana. It is a 10 kilometers trek that incorporates some of the most pristine panoramas of Garhwal. A group of seven glaciers, Nanda Devi Group of Glaciers incorporates Bartoli, Kururntoli, Nanda Devi North, Nanda Devi South, Nandakna, Ramani and Trishul. Nanda Devi is located in Chamoli District of Uttarakhand. Wonderfully placed between imposing Himalayan peaks, Nanda Devi Group of Glaciers are large and spectacular. Trekking freaks find it enticing as the route of Nanda Devi group of glaciers includes serenity and exquisiteness at their best. Kumaon is the land blessed with a plethora of glaciers that add to the beauty of this gripping region of Uttarakhand. 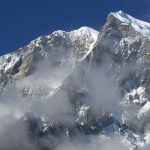 These glaciers simply fascinate the nature admirer and encompass trekking trails that are idyllic for the trekking aficionados with fervor for exploring nature’s grandeur. The congenial environs rendered by these glacial trekking trails create an empyrean for the adrenaline junkies and let them come close to nature’s grandeur. Mentioned below are the major glaciers of Kumaon that include revitalizing trekking trails. An easily accessible glacier, Pindari Glacier is more than 3.2 kilometers in length. This amazingly beautiful glacier is located in Bageshwar District of Kumaon. The trek to Pindari Glacier entices trekkers from all over the world. This glacier is flanked by Nanda Devi and Nandakot peaks. The trek takes the tourists close to wonderful local culture and nature’s bounty. Kafni Glacier is located on the leftwards of the Pindar Valley below the renowned Nandakot Peak. The serenity spread in the region has an unsurpassed charm. The trek used to reach the glacier includes a broader track than Pindari Glacier Trek. The rhododendron trees make the path verdant and scenic. The base camp of this trail is at Saung and incorporates regions like Loharkhet, Dhakuri, Khati and Dwali. The imposing peaks visible from the glacier are Nandabhnar and Nandakot. Positioned on the west of Pindari Glacier, Maiktoli is a 5 kilometers long glacier and is the source of a stream that flows for about 25 kilometers before merging into Pindari River at Dhakuri Grasslands. 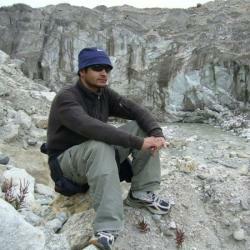 Maiktoli Glacier encompasses a strenuous trek that begins from Loharkhet. In addition, this trek incorporates various invigorating regions like Khati, Jatoli, Dhungia Dhaun, etc. Lying in Bageshwar District, Sunderdhunga is an enticing glacier that encompasses a winsome panorama. It takes one to trek through a tough trek to reach this endearing glacier. The trail to the Sunderdhunga Glacier includes various imposing peaks such as Maiktoli, Mrigthuni, Tharkot and Panwalidwar. In addition to this, this trek goes through Dudhia Dhaung, Jaitoli and Kathalia. For those who are an admirer of nature, Sunderdhunga is a must visit place. The doorway to witness the paramount exquisiteness of Kumaon, Milam Glacier is one of the secluded yet accessible glaciers of the region. 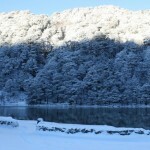 It is the largest glacier of Kumaon and covers an immense area of 37 square kilometers. This glacier involves an exhilarating trek whose base camp lies at Munsiyari. Milam Glacier is positioned on Mount Trishuli at an altitude of 3438 meters and is the source of Gori Ganga River. 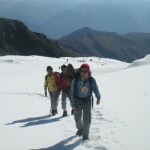 Milam Glacier Trek is categorized as a moderate grade trek. Located in Pithoragarh District, Ralam Glacier is at an altitude of 2290 meters near Ralam Dhura. The trek to this magnificent glacier is of strenuous grade. It is a beautiful trail incorporating the exquisite villages of Ralam and Paton. The panorama and tranquility of the backdrop make the trek extremely magnetizing and gratifying. 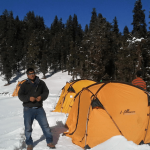 Trekking freaks generally show immense enthusiasm when it comes to glacier trekking in India. These glaciers lure trekkers from all over the world to feel nature’s opulence and sprint of adrenaline at the same time.